Amanda and Matt are just a gorgeous pair. 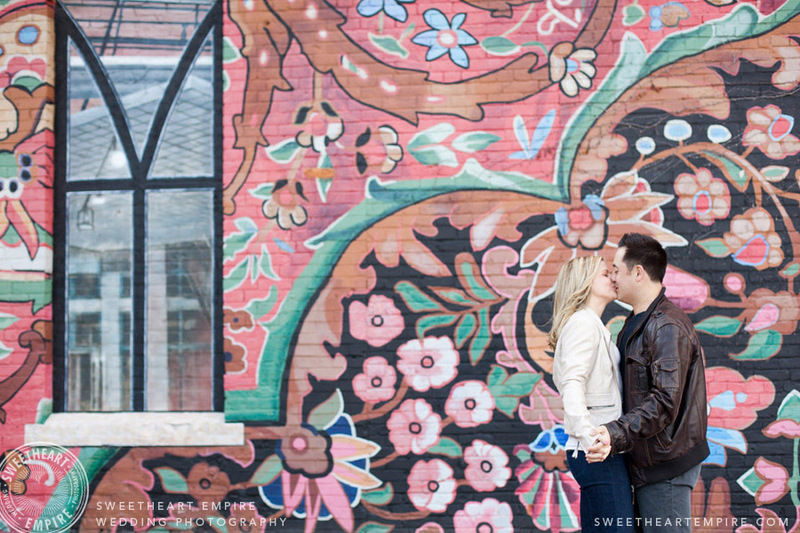 We met at Balzac's coffee shop, in Toronto's historical Liberty Village to do their engagement photos. It was a windy day, but they laughed together and kept one another warm... Actually it was a crazy windy day that had all three of us wondering if we shouldn't reschedule, but we decided to just do it! Whenever Amanda or Matt needed encouragement, the other was there to keep them (and me) going... And these two are no strangers to cheering one another on. Matt proposed to Amanda just after she crossed the finish line at the San Francisco women's half marathon! She was his champion. Amanda & Matt, it's been fantastic working with two people who are truly inspirational. I am so excited to share your wedding photos soon!